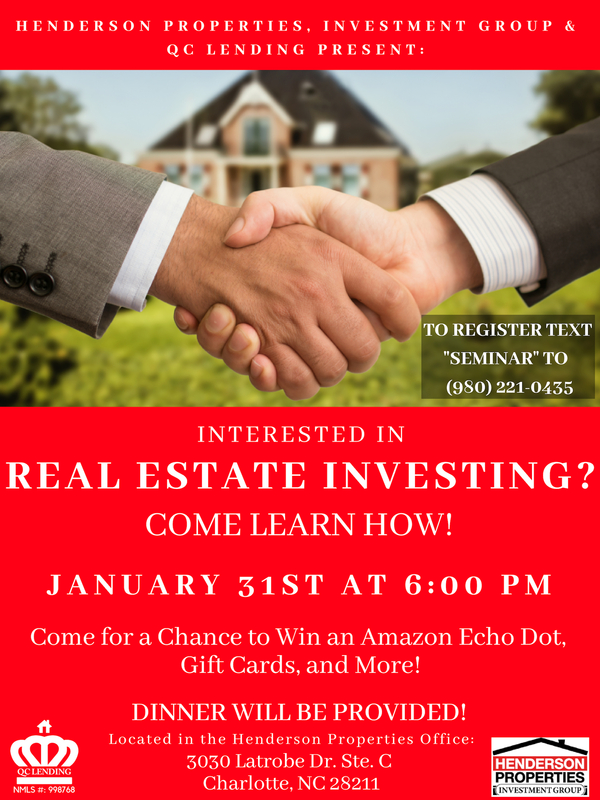 Learn more about our upcoming seminar for first-time real estate investors! For more information, contact Broker-in-Charge, Kevin McClave at sales@hendersonproperties.com, or register for the event by filling out the form below. You can also register by texting ‘SEMINAR” to 980-221-0435. We hope to see you there!